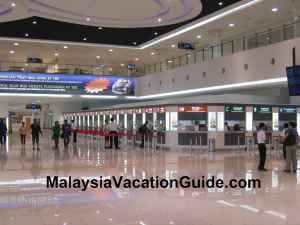 Hentian Putra Bus Terminal is located at Jalan Tun Ismail in Kuala Lumpur, opposite Putra World Trade Centre and within walking distance of The Mall Shopping Complex, Legend Hotel and Seri Pacific Hotel. 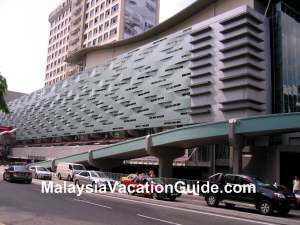 This is also a multi-storey car park bays for visitors and is usually packed especially when there is a major exhibition at PWTC or during UMNO general assembly. 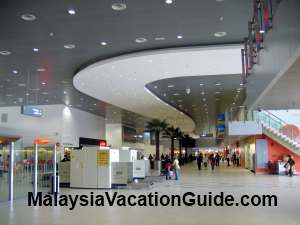 Many major exhibitions such as MATTA Travel Fair, Furniture Fair and Malaysia Domestic Tourism Fair are also held at PWTC exhibition halls annually. 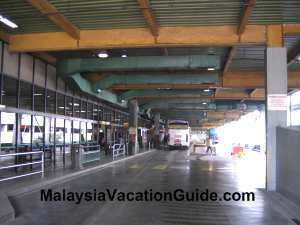 This bus terminal is the place where you can take the buses to the major towns of the east coast states of Peninsular Malaysia. The states covered are Pahang, Terengganu and Kelantan. 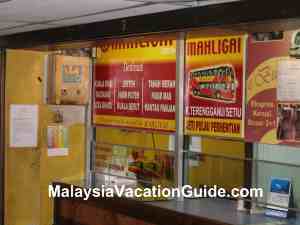 Tickets to major towns and cities such as Kuantan in Pahang; Kemaman, Kerteh, Paka, Dungun, Kuala Berang, Kuala Terengganu, Jertih, Kuala Besut in Terengganu; Machang, Tanah Merah, Pasir Mas, Kota Bharu and Pengkalan Chepa in Kelantan. Of particular interest is Kuala Besut as this coastal town is the gateway to Pulau Perhentian, a popular resort during the months from May to September. 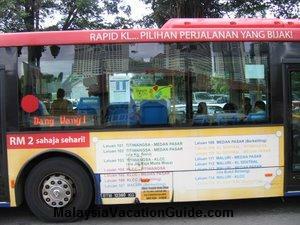 The ticket from Kuala Lumpur to Kuala Besut is about RM40-RM50 one-way. 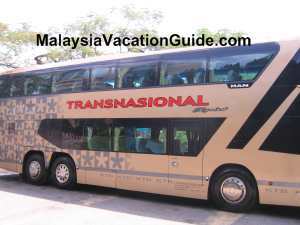 Mahligai Express and Mutiara Express are the two bus companies that go to Kuala Besut if there are more than 10 passengers getting down there else they will stop at Jertih. You will then have to take a taxi from here to Kuala Besut. Suggest that you confirm this before you purchase the tickets. You can purchase your tickets to Kuala Besut at the Mahligai or Mutiara Express ticketing counters. 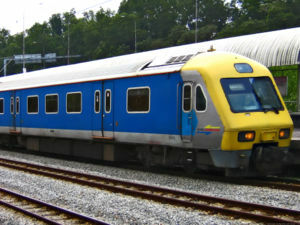 Mara Liner goes to major towns up to Kuala Terengganu, website information at www.maraliner.com.my. Konsortium Bas Ekspres Semenanjung with website information at www.kbes.com.my. Tasik Kenyir Ekspres will take you to Kuala Berang town. You will have to arrange pick-up with the resort you are staying from here. Once you have purchased your ticket, enquire which bus platform number and bus to board the bus. 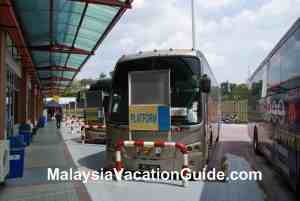 There is an air-conditioned waiting area just beside the bus platforms for you to wait for the bus. 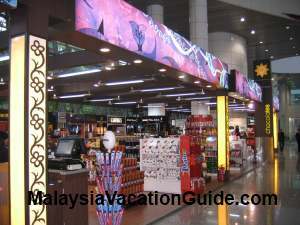 There are about two shops that you can purchase some snacks before your journey. They are located at the same hall as the ticketing counters. The other better option is by going to The Mall Shopping Centre as there are more choices of goods that you can buy. 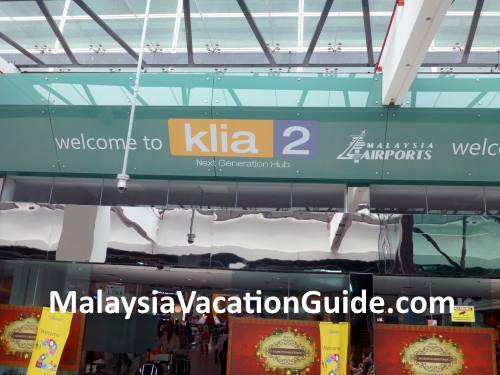 If you intend to store your luggage here for a few days, there are two luggage centres that you can use. However, make sure that you remove all your valuables as the bags will be placed on open shelf in the room. According to the operators, there are CCTVs installed all around the shop. The price is RM3/day for a small luggage bag, RM5/day for two bags, RM7/day for three bags and up to RM12/day for six bags. It is opened from 8:30 am to 10:30 pm. Hentian Putra is located within walking distance of The Mall. 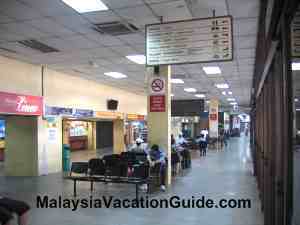 Take the Ampang Line LRT and alight at PWTC station. This multi-storey car park charges RM3 per entry per car.